Able to use cover sheets of different widths depending on the concrete element to cover. 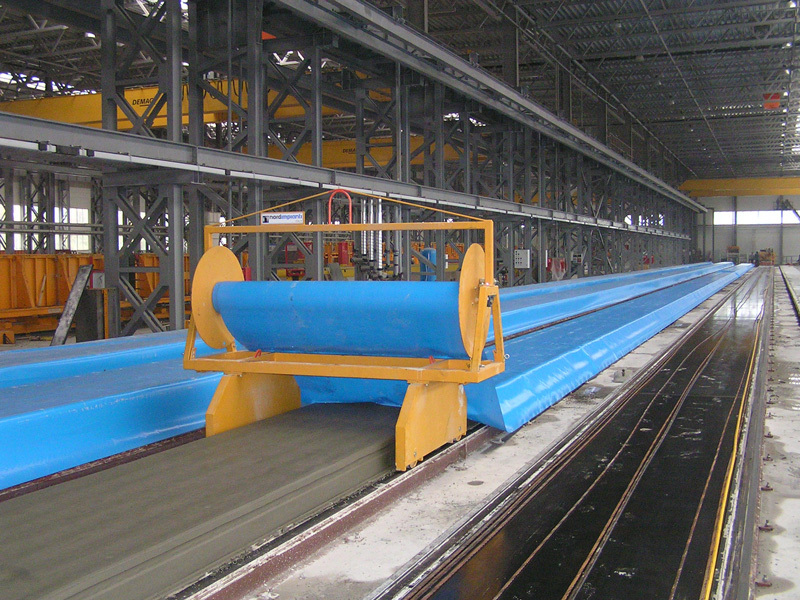 The trolley moves along the production bed in order to lay and roll up the nylon sheets used for the covering of the concrete elements in order to reduce the curing time of the concrete. The coiler is a steel framed and mounted on the trolley to hold the nylon sheet. The number of coilers required in the production cycle equals the number of beds in daily production. The nylon sheets have to be rolled up manually via a crank positioned on the side of the reel. To prevent interference to machines on adjacent beds the reel can be moved out the way whilst other machines are passing.